Technology is making our lives easier than ever before. With one tap, we can call a car to pick us up, order dinner, or share a photo. But when it comes to issues that specifically impact women, we’re often stuck in the last century. Women’s health tracking is one of these issues. There hasn’t been any true innovation in this area for decades. CALCIVIS is focused on revolutionising the management of dental demineralization by providing what leading clinicians consider to be the “Holy Grail” of cariology (tooth decay): real-time chair side assessment of the caries disease process. By supporting early decision making and improving patient communication, compliance with oral health advice increases and consent for prescribed treatment improves leading to enhanced clinical and professional outcomes. 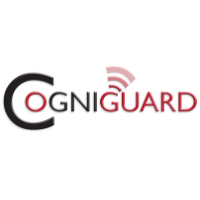 CogniGuard is developing MindUTM, a novel noninvasive medical therapy for Alzheimer's patients, to halt patient decline into a severe form of Alzheimer's disease with its devastating consequences. Endomag was founded in 2007 as a spin-out from the University College London (UCL) and the University of Houston. The company is currently selling products across Europe, the Middle East, Africa and Australasia and is seeking marketing authorisation in other countries to deliver its technology to global markets. Hairstetics headquartered in Israel is a medical device company established in 2010. The goal of the company is to address a huge unmet need in the field of hair restoration. We developed a technology making hair implantation available to everyone, providing immediate satisfaction and a natural outcome. Hemics is a medical device company active in the field of Rheumatoid Arthritis (RA). We aim at improving the quality of life of patients with RA by creating imaging devices that support the rheumatologist in monitoring and treatment of this disease. ID-NEST is currently developping a new, disruptive way to rebuild vascular bifurcations. Targeted indications are Aortic Cross Aneurysms and Compressed Veins. Our technology focuses on a patented way to connect 2 self-expandable stents in order to restore native vessel capacities. iSTAR Medical SA, founded in 2011 and headquartered in Wavre, Belgium, is a clinical-stage, medical technology company focused on the development of novel ophthalmic implants for patients with glaucoma. Glaucoma is the second leading cause of adult blindness globally. ​Kejako research and develop novel medical devices for the worldwide ophthalmic surgery market. Our technical and commercial goal is to launch premium, innovative solutions for common ophthalmic diseases which have high impact on people's everyday life. Mint Solutions develops hardware and software solution, MedEye, to assist nurses in administering medications to patients. Through a unique patented hardware and software, MedEye is able to visually verify all medications that are being administered to a patient to ensure accuracy, prevent errors and collect accurate information for the patient medical records. Medication errors are the most common errors in hospitals and long term care, leading to suboptimal treatment, extra costs and sometimes patient injuries. 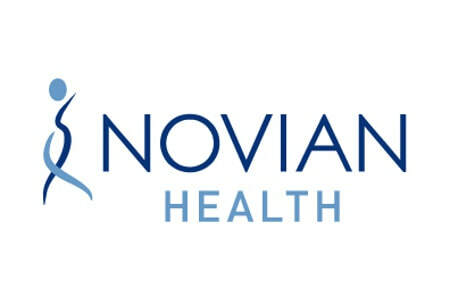 Novian Health is a privately held, medical device company based in Chicago with a subsidiary in Evry, France. It has developed proprietary technology for the minimally invasive treatment of tumors using Interstitial Laser Therapy (ILT). Novilase® Breast Therapy uses parametrically controlled heating to ablate breast tumors under ultrasound or stereotactic x-ray image guidance. Ocon Medical, Ltd. develops and designs medical devices. The Company offers a shape memory alloy which is extensive used for various medical devices, such as coronary artery stents. Ocon Medical serves and markets medical products and devices to customers and patients worldwide. PathoQuest SAS, a spin off of Institut Pasteur, is a biotechnology company offering a game changing metagenomics approach to improving the breadth of pathogen detection. The company’s proprietary next generation sequencing (NGS) based testing approach delivers actionable reports to clinicians, biologists and biopharmaceutical quality assurance managers/production managers. PixCell Medical Technologies develops, produces, and markets portable medical diagnostic products for point of care testing. PixCell's products are based on its innovative Viscoleastic Focusing (VEF) technology and single use cartridges that enable rapid, accurate and simple blood sampling and analysis. Results are displayed within minutes in an easily readable format. PixCell's mission is to make tests currently restricted to the laboratory more accessible, easy to use and affordable. Preventicus engineers products for smartphones and smartwatches that obtain health parameters without any extra accessories. The data generated are conclusive to a degree previously only obtainable by physicians. Another unique quality: All apps are medical devices with an accuracy verified in clinical studies.